What is probate? A lot of people have heard about it, but only a few fully understand it. To give you a better picture, I have prepared some basic answers to common questions about the probate process in Arizona. Losing a family member is already tough to handle. Dealing with probate adds to the burden if you don’t know much about the process. You might ask yourself this question: Do I need a probate lawyer? The safest answer would be yes. It is always best to have a lawyer at your side. However, there are instances where hiring a lawyer is not necessary, like when the estate is relatively small. To help you determine whether you need to hire one or not, read some of these questions and their corresponding answers. Is the Estate Qualified for a Small Estate Procedure? Generally, this covers a simple out-of-court process that requires an affidavit and results in a streamlined summary probate. However, the answer to this question varies from state to state. Each state has its own set of rules about whether a certain estate qualifies for a small estate procedure. Here in Arizona, if real estate is the main asset left, and if the equity in the real estate is less than $100,000, you can use a small estate procedure. If the rest of the assets total $75,000 or less, you can use a small estate procedure as well. Does the Estate Owe a Federal or State Estate Tax? Federal estate tax is not imposed on most estates and Arizona does not have any death tax. Are the Deceased’s Assets Transferable Outside of Probate? Ideally, yes, they are transferrable without the need for probate court. This will, however, depend on the probate and estate planning done by the deceased person back when he or she was still alive. Commonly, the following assets can be taken care of outside of probate: community property with right of survivorship and joint tenancy with right of survivorship. This can also include living trusts, insurance policy proceeds and retirement accounts, in certain cases. Does the Estate Contain Only Common Assets? If the estate is quite small and uncomplicated, then the answer could be yes. Common assets like vehicles, bank accounts, houses, residential real estate and goods comprise the estate of the deceased. However, if the deceased owns a business or a commercial real estate, or if there are many properties at hand, this is no longer the case. This requires special handling, something that only professionals are capable of doing. Consult legal experts on this matter. Is the Estate Enough to Pay the Debts of the Deceased? This is an important question to answer. If the estate is large enough or valuable enough to pay for all the legitimate debts of the deceased, including the funeral costs and taxes, things can be easily processed and figured out. Things only get complicated when the estate is not enough to pay the debts left by the deceased. If this is the case, it is wise to seek legal advice first before paying any bills. The probate process in Arizona is relatively simple. Papers are filed with a court clerk and court hearings are unnecessary. However, this is not the case in many states. Many states not only have difficult probate laws, but also death taxes and preset percentages removed from estates by the court. 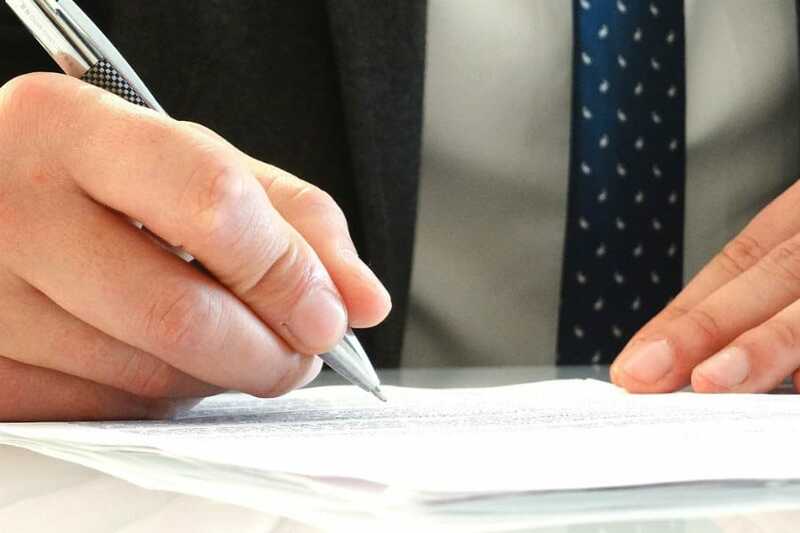 If you need to go to court to deal with a probate process, it’s best do it with a trustworthy and highly knowledgeable lawyer. Contact me if you need one. I’m here to help.